Stylish is a word that is perfect for describing the Brielle-C Counter Stool. This stool has a wonderful look and a comfortable feel. The fabric covers foam in a variety of colors and the base is made from chromed steel. Whether you are looking for a stool for a modern or a classic home, you�ll find that this beautiful stool will fit in well. Where are the color choices? 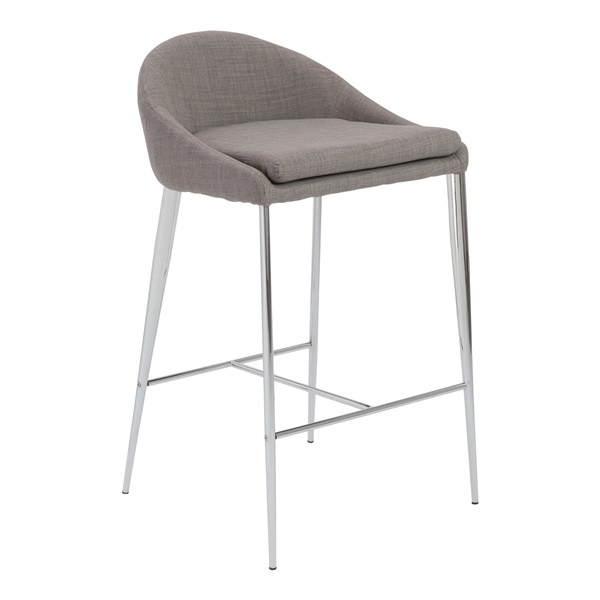 The Brielle-C Counter Stool is only available in the finish as shown. The seat height for the Brielle-C Counter Stool is 26".